Counter target spell unless its controller pays (X). I say if you wanna pay 3 for Convolute go with a hard counter like Dissolve . 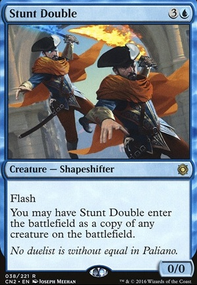 If the double blue in the cost scares you then I'd suggest Condescend / Mana Leak instead. 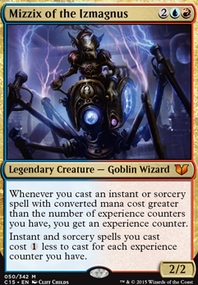 It doesn't seem like your counterspell/draw suite is good enough to hold out until you get to 7+ mana against combo and control decks. 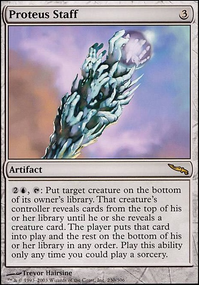 You only have two actual counterspells in your deck and you aren't guaranteed to hit your land drops with only 23 and not much card draw (Taking Turns, for example, plays the same number of lands, but most of their deck is dedicated to drawing cards and they still sometimes struggle to get to 5 mana on curve). Combo decks will just go under you and you'll lose the counter war against control. It does seem like you've taken the aggro matchup into consideration though. Personally I think this deck would do a lot better if it were a variant of Mono U Tron that uses whales to win instead of Ugins and stuff. 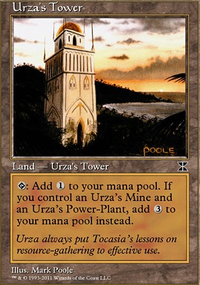 The tron lands allow for occasional fast starts to get ahead of combo, and Tron just naturally has a good matchup against control since they can make so much mana and go over the top of them. 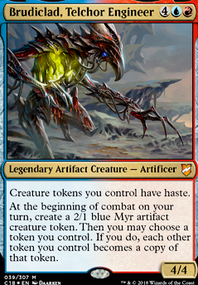 Condescend is also a really good card in U Tron.